When I was studying for the PMP exam, I found some great puzzles that helped increase my understanding of the vocabulary and concepts. Those resources are no longer available, so I thought I would create some of my own. 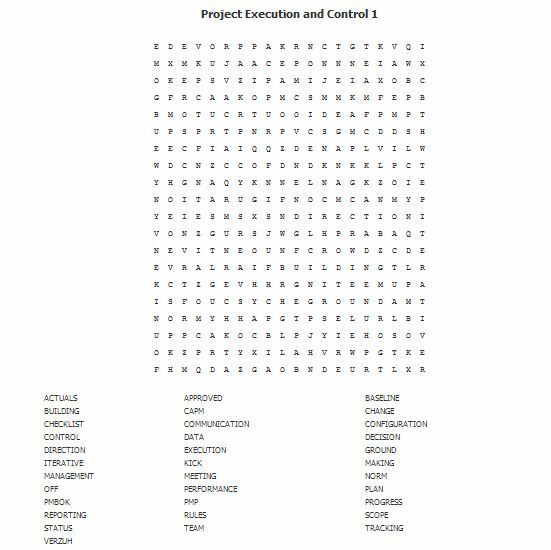 Today is the inaugural word search developed with my current Project Execution and Control Students in mind, although it would be helpful to anyone studying Project Management and/or studying for PMI certification. I have attached links to the puzzle and the solution. No peeking!